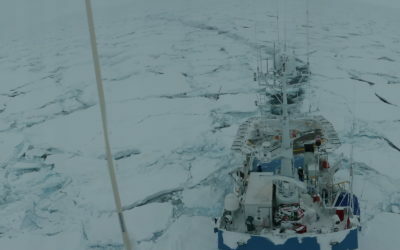 The Norwegian research vessel, the R.V. 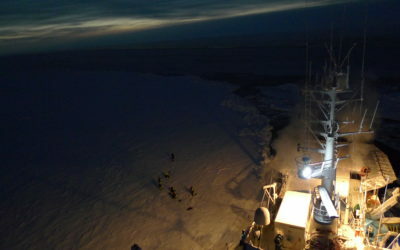 Lance, has reached its final position for today during its trip back North and is laying still in the pack ice. At a few hundred yards one can see the lights in the polar night shimmering off the upper decks of the coast guard ship “KV Svalbard”, which assists us in breaking a way through the frozen sea. 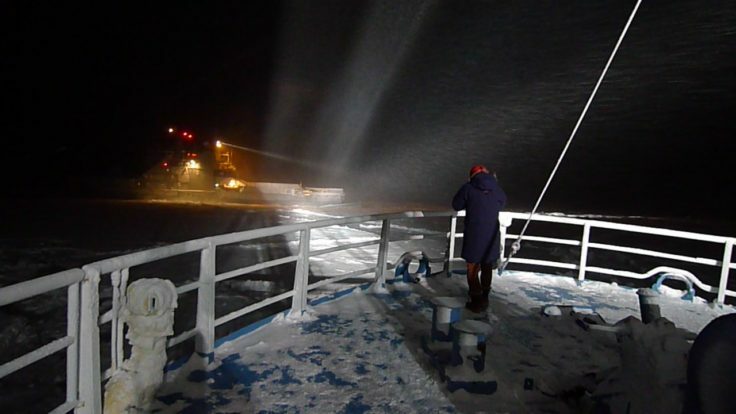 The ice floe which was used as an ice station during leg 1 of the N-ICE 2015 young sea ice cruise had to be abandoned upon our arrival last Wednesday, in fact 6 weeks earlier than planned. 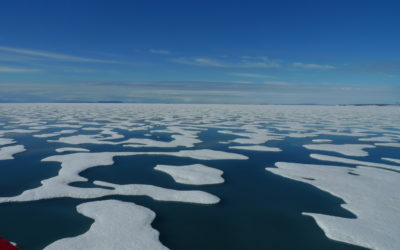 The ocean currents and a recent storm had pushed the ice floe and with it the Lance within a few kilometres of the ice edge, initiating its break up. All scientists and crew joined forces in a tremendous 48-hr effort to rescue as many of the scientific instruments as possible until the arrival of K.V. Svalbardyesterday evening. 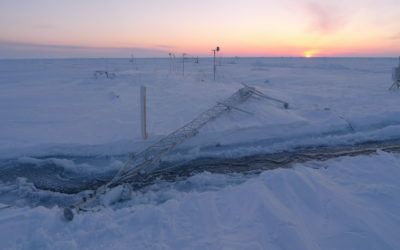 Wind chill below −40°C, buoys and sensors frozen stuck into the sea ice, bent meteorology masts, widening cracks in the ice, the increased likelihood of polar bear encounters this close to the open sea all contributed to extremely difficult working conditions. 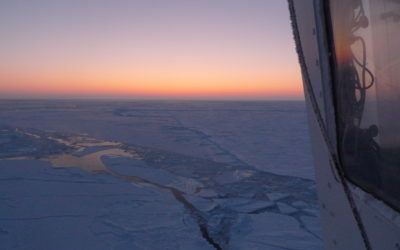 However, even with a few set backs and some instruments lost the team passed its first test of work on the sea ice with bravour. Time now to rest a few hours and plan for setting up the new ice station.